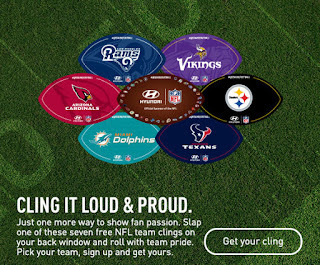 Hyundai is giving away free NFL team clings for your back window. Unfortunately, it is not for all NFL teams. If you like the Rams, Cardinals, Dolphins, Vikings, Steelers, or Texans, you'll be happy. 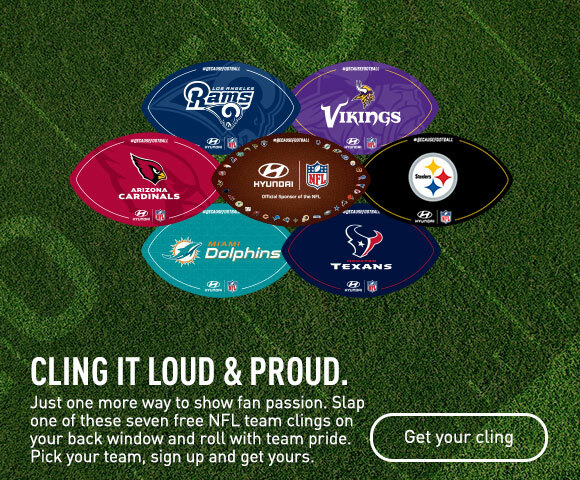 Other team fans can get the generic football one.